y2lukin wrote: I also believe maybe the biggest factor is they actually want the lineup to take a long time. The longer people are in the park, the more tempting to spend money. With a smaller park with fewer coasters such as DL, they don't want you to be finished in a couple of hours and leave. My thoughts anyway. They aren't spending money while they are standing in line. People get frustrated when they stand in lines all day. rjr19 wrote: Also, do you think Six Flags would purchase another RoS train, considering the age gap there would be between the two trains? There would be a 3 year gap between the ages of them. One train on The Raven at Holiday World is 10 years older than the other train. Knott's recently acquired a third train for Silver Bullet which opened in 2004. While not Six Flags parks, it has been done before. THIS! People who get stuck waiting in a line for 2-3 hours are not spending money in the park, they are standing there getting frustrated and angry that they are wasting their time in the line for a ride that lasts all of 2-3 minutes at the most and sometimes as little as 90 seconds. Frustrated guests also do not return to the park (bad for DL as they rely on a lot of local business) and tend to leave early because they see the waits at every ride and simply do not want to stay in the park because it becomes not worth it to wait in another 3 hour line for a ride. This is a park that fails hard on super busy days and is fine on days when there are not massive crowds. Exactly! The one train ops are absolutely unacceptable for a park of DL’s size. For example, when I visited the park on Saturday, I arrived early, so crowds would be minimal. It was great, short waits for everything! Once it hit around 4 PM, the park gained some crowds, but nothing much, still appeared pretty light. I brought family that lives out of town. They didn’t realize DL only runs one train all the time. They figured earlier when it was empty, they would only run one, so they didn’t think much of it. When the crowds came, it was a total change of attitude for them. They were shocked that there weren’t second trains to be put on when crowds began to build. Even a three ride wait for Viper took forever in their eyes, because they are so used to multiple trains running on coasters. They said that they wouldn’t mind never returning because of the crappy, cheap operations of DL’s rides. Think there's any chance of them getting a Joker 4-d? I loved the one at Great Adventure though I'd like to see one about two minutes longer. It'd be a good fit for the park, too. That or an RMC treatment of the Predator would mean an instant season pass purchase for me. ^ THIS! Same thought process I have, those would both be awesome additions. They could possibly do both, as 4D free fly's (someone back me up here, but I don't know if it's true) are cheaper than other coasters Six Flags adds, so in a span of 3-5 years they could add that and RMC Predator. In all honesty, although a new ride would be awesome, aren’t there bigger issues that need to be taken care of? I wouldn’t mind putting off a new ride for even 5 years if it meant that we can see two trains running on all coasters, and new paint on the falling apart buildings and awful looking coasters (RoS and ME). Yes please lets not get ahead of ourselves with the additions of new coasters and even rides. Darien Lake needs rehab and care before even more rides are added. And the second train is a big one if they are to become a full fledged Six Flags again. I remember the days of Six Flags running the park and while back then it wasn't always great at least rides like Mind Eraser, Predator and Superman always had two trains running. This is a park that could be one of the biggest and best in the region, especially since the next major parks nearby would be Canada's Wonderland and Cedar Point which are at least 2-4 hours away, and not everyone in the USA has the ability to go to Canada anymore as easily now that you need special licenses or passports. Lets focus on fixing up the park and getting back too two train operations, they added Tantrum this year so that should be enough for a year or two, and then maybe a small addition before anything major. Even some re-branding would be nice like going back to Looney Tunes or D.C. Comics. Here is a mini trip report from my day at the park. I was at the park Friday and there was a large group of about 20-25 from six flags corporate (I know this because I asked one of the group) taking pictures, notes, video and asking a lot of questions to the hosts showing them around. There were no coasters even cycling until about 10:45 and those two were viper and pos scl eraser. One in the group noticed and asked why, the host kind of responded with a shortage of maintenance answer, he just shook his head. I followed them for a while to see if I could overhear anything and got to the fountain near the games midway and I noticed a lot of head shaking from the group. They noticed, as did I that even the planted flowers and such were not even put into the ground, just kind of dug down and left in the original nursery pots and clearly no mulching for a long time. I followed them down the midway with only about 2-3 games even open (it was about 10:20) and more head shaking. 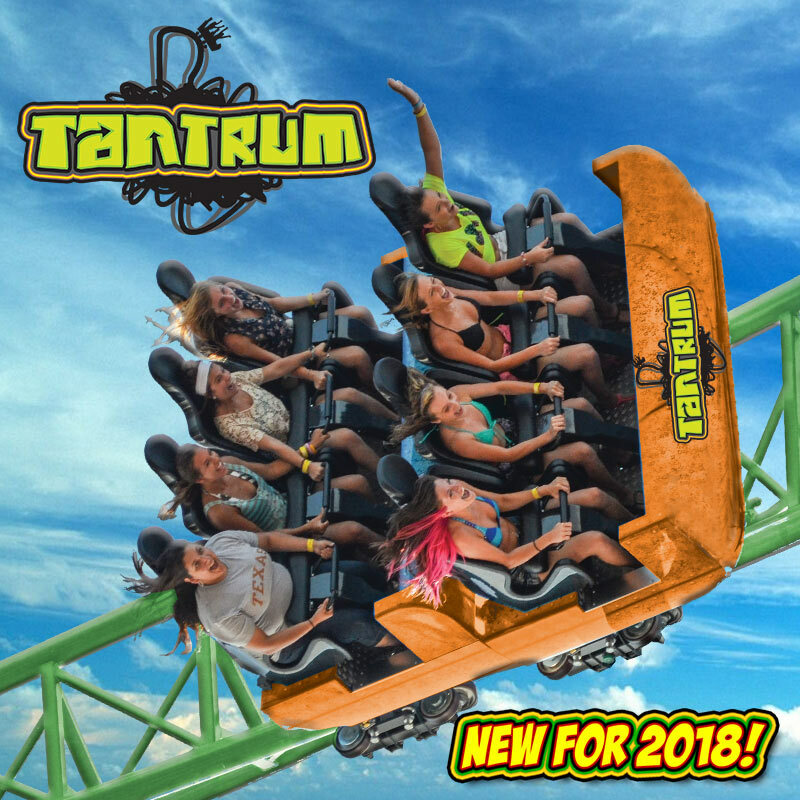 I went over to tantrum where my family had gone only to find out that they were not even close to running cycles, probably at least an hour the ops said (Tantrum did not open until 12:45), so we took a quick break from not being able to do anything. A few minutes later, the six flags group was at Tantrum and asked the host a lot of questions. I only overheard a couple questions from the group and the one that stuck out was if they were done with the theming, which the host responded that she thought so (There is little to no theming.). Then the group went towards the giant wheel so I followed due to nothing better to do yet. A question about no lights or theming came up and more head shaking. I followed them until about 11:45 when Ride of Steel finally started testing and remember a lot of questions followed by head shaking. This to me, pointed to Six Flags having their hands full just to bring the park up to standards. I only saw the group once later at about 3:30 down by Ride of Steel which of course had no line but 30 minute wait do to one train ops. I believe their heads were sore from shaking them so much. On a brighter (or sadder depending on your viewpoint) note, the park was totally empty at 5:30 due to the school groups leaving and we were able to walk on everything. I, of course I do not know what capacity this group was for six flags, I can only report what I personally heard and saw. It is my opinion that they were there to build a preliminary report for corporate, but what do I know, I can only hope for the best, right? I can just picture you following this group around trying to be all slick... lol... maybe they were talking amongst themselves about why you were following them the whole time and that's why they kept shaking their head... "Oh, there he is again... *shakes head*"
Yeah, but there was nothing better to do, so why not. I do like the fact that SF corporate people were asking about theming and about overall operations. This tells me a few things.